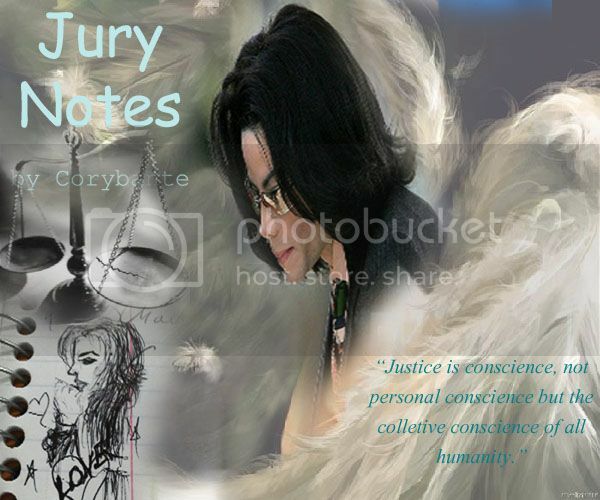 MJ Fiction :: A Place for Michael Jackson Fan Fiction! Michael Jackson had the best life he could imagine: a successful nightclub, a beautiful girl, and good looks, all accompanied by fame, fortune, and wealth. He was the man that everyone dreamed of being, and he intended on keeping it that way. Little did he know that his long-lost twin brother, Derrick Jackson, had other plans. He was the one who'd been abandoned by their parents; he'd lost everything. He wanted fame, fortune, and wealth: he wanted revenge. He wanted to steal Michael's life. And so he made them switch. Categories: Bad: 1986-1990, Adult, Angst, Crime, Drama, Hurt/Comfort, Romance, Suspense, Trigger Warning! Michael is known for liking quiet, "proper" women. What happens when he meets wild child?A girl who is willing to show him a thing or two. This beautiful and broken woman who wants nothing to do with love and seems dead set on destroying herself...can he show her love? Can he protect her from the media, from the controlling people in his life, from herself? He can't let her go down this spiral..yet she doesn't fit his mold, physically or mentally! 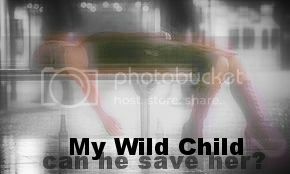 Can he accept this wild child? Categories: Adult, Romance, Trigger Warning! Alex should have been a happy man. He’s young, rich, gorgeous, and a successful true crime writer. But instead, he is haunted by the personal hell of obsession. Who was Avalon Beck? Why did he murder his loving, philanthropist wife? And how does Michael Jackson tie into it all? And why is Michael Jackson so determined to stop him from finding out? And why can’t he get the popstar out of his head? Michael should have been happy. He was young, rich, gorgeous, and biggest popstar in the planet. But the emptiness and loneliness were driving him slowly mad. Until Avalon. Avalon was different. Avalon understood. Avalon was everything. Avalon hurt the most. So why, decades later, is some obnoxious true-crime author trying to dig up the most painful chapter of Michael’s life? And why can’t Michael stop thinking about him? What do you do when someone who smashed your heart wants to save your life? How far will love go to right the ultimate wrong? Will it be far enough? Liam Angel is beautiful, charming, and insanely good at his job in the FBI. And now his job is protecting his former lover, and redeeming himself, if he can. Michael doesn’t trust the handsome heartbreaker, who shows up on his doorstep with some nonsense tale about protecting him from terrorism on the This Is It tour. The story doesn’t make sense. None of the facts check out. There doesn’t seem to be any danger. And Michael can’t help but think this is nothing but a scheme to get him to forgive an unforgivable betrayal. But Michael is more right and more wrong than he could possibly imagine. 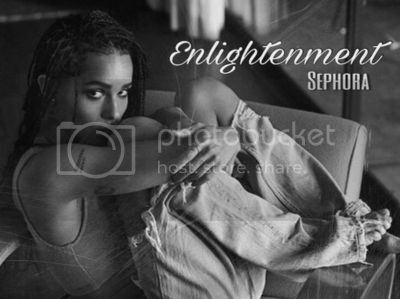 Zoë is an 23 year old yoga instructor and photographer that has recently found herself living alone in Brooklyn, New York. With no more family to reach out to, she confides in one of her older students who becomes a friend and mother figure who also plays match maker in hopes that her younger brother and Zoë can find love since they both share a love for art. But when the two artistic minds come together there are a few things learned that neither one could've found without the other. Enlightenment: the state of having knowledge or understanding : the act of giving someone knowledge or understanding. Michael Jackson the King of Pop, fed up of the media ruining his image decided to leave it all behind to stay in the United kingdom to raise his children. But the call to music hadn't left him in years. 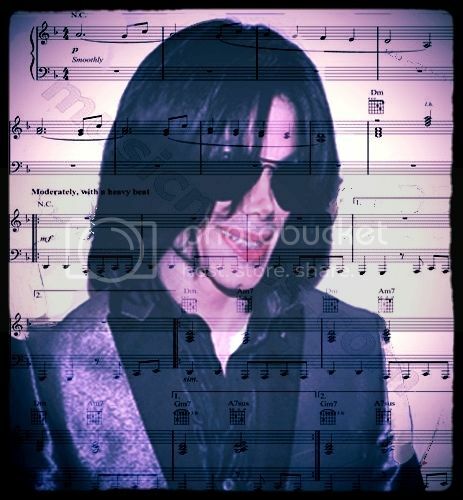 Flash forward to currently 2001 Michael chose to return to the studio with Sony Records after a seven year hiatus. 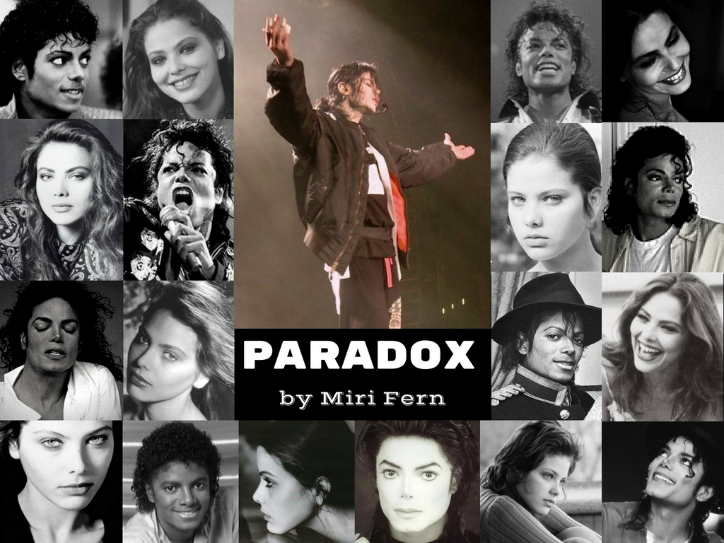 34 year old Ezra Banks didn't expect one day to have Michael Jackson walk into her graphic company asking for her help designing his CD cover. Will she and Michael get along? Will they find something in each other? Will they become more than friends? Being a walking talking public performance is a tough business to shoulder for anyone. One would think the ones who live that lifestyle would seek kindred company to help them fend off the brutal nature of their often hostile environment and navigate the many cataclysmic personal issues they face when they roam alone in an unguarded industry, especially when at the top of their game. But how could a troubled music industry heavyweight, a drug abusing people using attention hog like Richie King ever come to be in the same realm as equally as impressive, people serving, kind-hearted Michael Jackson? Two men of a similar calibre. Two totally different moral backgrounds. Same determination to end out on top. Categories: Jackson 5: 1965-1975, Thriller: 1982-1983, Adult, Angst, Drama, Hurt/Comfort, Slash, Suspense, Trigger Warning! Ariana has known the Jackson family for years. From a very young age. Best friends with them. Practically a sister. Her mother gets a new partner and Ariana can't escape the depths of his soul. The only person she has is a certain Jackson boy. Will there be a crush along the way? Get ready for an emotional rollercoaster, love, fighting, hatred, jealousy and humiliation in "Hero". Categories: Jackson 5: 1965-1975, Off The Wall: 1975-1981, Thriller: 1982-1983, Adult, Hurt/Comfort, Humor, Romance, Trigger Warning! Michael Jackson has been pronounced dead. His family, friends, and fans are all in mourning. No one knows the truth. The King of Pop is very much alive, but he is being held prisoner by a mysterious individual who claims he is the only one who can save him. 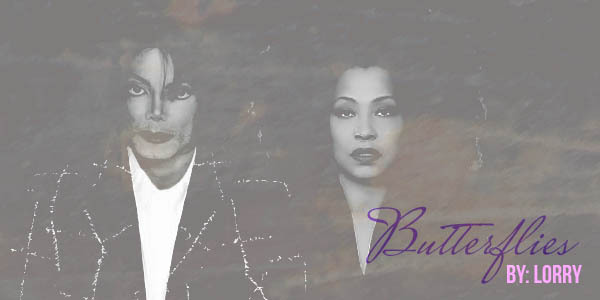 Michael Jackson's six children struggle with their grief. While Prince, Paris, and Blanket are thrust into the public eye, Jackson's three eldest sons, Tobias, Arthur, and Donovan, are drifting apart. Tobias just wants to move on, but Arthur feels trapped. And Donovan doesn't seem to care at all. Categories: This Is It: 2006-2009, Angst, Drama, Family, Hurt/Comfort, Humor, Mystery, Romance, Sci Fi, Suspense, Thriller, Trigger Warning! "I feel infatuation like I have never imagined possible, and guilt that I never thought I could live with. It's like I've betrayed everyone and everything I have ever held sacred, and eventually, I will betray everything else for him too. That’s how I feel about him. It's so beautifully wrong." Ember Grace Kelly was born into a hippie commune that was dismantled by police because of its highly questionable practices and illegal activity. She and her twin sister Midnight Shadow watched their whole world collapse when they were only seven and then were cast into the system. At nine they were adopted by a politician and his awful trophy wife. Determined to become someone, Ember works her way through law school. Just as everything in her life is finally starting to fall into place, she is sequestered for jury duty for a trial (and a defendant) who will rock her world. Now she must do whatever it takes to convince 11 skeptics of his innocence, and save the man she loves. Categories: Off The Wall: 1975-1981, Adult, Trigger Warning! On June 21, 1994, Pop King, Michael Jackson was invited to a newly formed country off the coast of the Mediterranean Sea. What he finds there, besides the beauty of the country, is something far more sinister. Now that he's seen it, he's considered a threat. What happens next is the fight for freedom, life and death and the ultimate war from the United States is declared. Read about the event that inspired a song of a generation in, They Don't Care About Us. Brilliant, beautiful, bi-curious megastar, Michael Jackson tells all like never before in this secret, confessional. His adventures and misadventures in love, his secret fears, unknown passions/partners and darkest emotions are revealed in his own words. He gives us what he's never given us before - his real secrets and his private life from his own perspective. In this beautiful, emotional and humorous memior, Michael divulges his earliest sexual encounters and significant life events, his relationship with a Swedish male model and the dramatic reaction of both of their families. The dizzying highs and painful lows portend to a fervent conclusion in which he finally meets his true soul mate. But nothing is ever over. 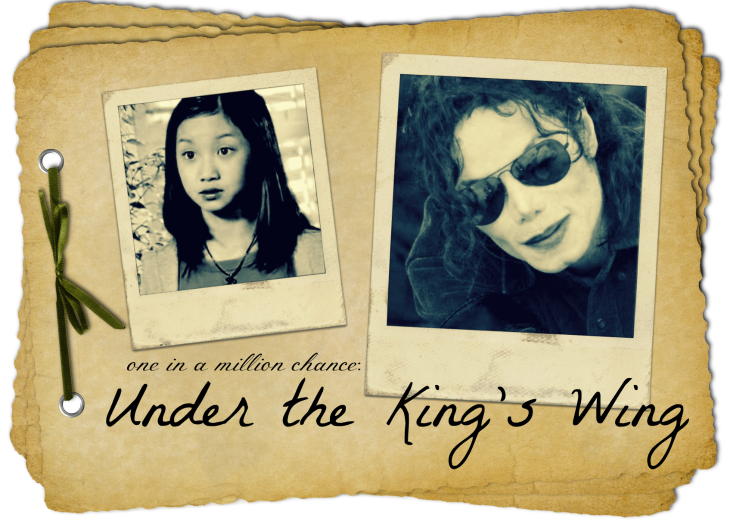 Penyi was eleven, and Michael Jackson, a man she'd only ever heard of through the radio, showed up at the orphanage. Neither of them knew that a girl's life would be completely changed that winter. 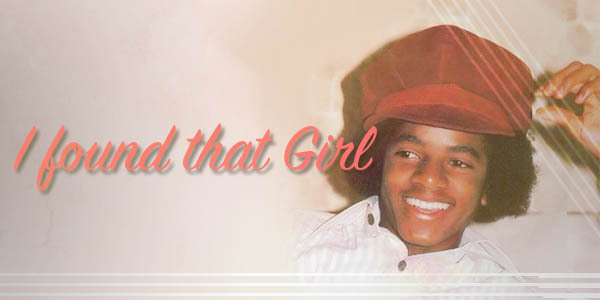 For a girl who was told that she would never get anywhere, being the King of Pop's daughter was more than she could ever imagine. It didn't even matter who he was sometimes. The fact that she had a family that loved her in a way she never knew was more than enough. "Friendship may and often does grow into love, but love never subsides into friendship." Can two friends see how much they care for each other?. Wanting to be more than Friends?. Michael and Amber have been friends since the tender age of ten, spending time together but as they grew and are in High school, can Michael finally admit his feelings for his best friend and can Amber finally see it and care for him as he does for her?